Unfortunately, there are many fish sold to beginners that really aren’t good beginner fish at all. Some of these fish are difficult for even the most experienced aquarist to care for! In this guide I hope to talk about some of these fish and debunk the myths surrounding them. I’ve included pictures to make identification easier since many pet stores use common names which range from being confusing to completely misleading. The goldfish is one of the most common species recommended for beginners and ironically is also one of the hardest species to keep properly. Out of all of the goldfish, the one you most want to stay away from is Carassius auratus auratus. Not only can they grow to be over two feet (try fitting that in a bowl!) long but they are very messy fish and require strong filtration (an undergravel filter or simple hang-on back model isn’t going to cut it). Goldfish are coldwater and can also be surprisingly aggressive…this means that choosing tank mates is difficult. It’s even more difficult when you consider the amount of waste your goldfish will be producing…if you can’t keep up on water changes, all of the fish will suffer. Goldfish (this includes the fancies) need a varied diet including both meat and vegetable matter…goldfish flakes aren’t enough. Then if you take into account the fact that these fish are bred as feeders and tend to have health issues…well, I’m sure you get my point. These beautiful animals are best left out of standard aquariums and should only be housed in very large tanks or ponds. It still saddens me to see this fish offered for sale. Red-tail Catfish are poor aquarium fish for one big reason…and I mean a REALLY big reason. They can grow to be five feet long! Even the very largest aquariums are usually not going to be enough for this species. 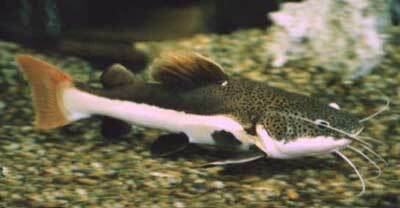 Red-Tail Catfish are voracious predators and will happily eat any fish they can fit into their mouths. Leave this one to public aquariums. This one might come as a surprise to some people. After all, pet store employees are very quick to recommend plecos to beginners. These fish, however, should be avoided unless you’ve done extensive research. Many of them grow to be really big (including the common pleco or Hypostomus plecostomus) and shouldn’t be kept in your average, small community aquarium. Plecos are also messy and many have specialized needs such as requiring a low pH or needing to chew on driftwood. 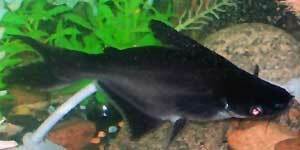 The term “algae eater” is usually used to describe a pleco but the truth is they rarely eat algae unless starving. These fish should be supplemented with a variety of foods, including fresh vegetables. All plecos aren’t bad for beginners, though! There are a few smaller species that can make excellent community fish and the bristlenose pleco (Ancistrus triradiatus) is a good example of that. When it comes to plecos it’s extremely important to research the species in question BEFORE making a purchase. Bala sharks can grow to be over a foot long and are schooling fish, which means they should be reserved for very large aquariums. They have a tendency to jump out of tanks and therefore need a tight-fitting lid. Other names this fish goes by: Algae Eater, Indian Algae Eater. They are sometimes mistakenly labeled as “Siamese Algae Eater” or “Siamese Flying Fox”, which are different species. If I had a penny for every time someone e-mailed me about a tank with “disappearing” fish that also had a Chinese algae eater, I’d be rich. These guys are usually bought to eat algae, like their name suggests. When young, they actually will eat algae (although they prefer other foods) and are quite peaceful. The problem arises as the fish age…they become large, aggressive, and develop a fondness for meaty foods over algae (this includes your fish!). Avoid them unless you have a plan for the adult fish. Glass catfish are peaceful and stay fairly small (up to six inches). So what’s the problem? Well, for starters they are extremely sensitive to water quality and a new tank is usually too unstable to keep them in. They also are schooling fish and need to be kept in very large groups to feel secure. Glass catfish can also be difficult to feed, as many have to be “trained” to accept non-living food. These are definitely fish for more advanced hobbyists. Painted glassfish are what their name suggests…glassfish that have been “painted” with chemical dyes. The color wears off over time but many of these fish don’t survive that long anyway. The methods used vary and include injections and dipping the fish in chemicals to remove the protective slime coat and then coating the fish in the dye. Recently there have also been tattooed fish showing up in petstores. Painting fish these ways is considered inhumane and that’s reason enough not to purchase them. 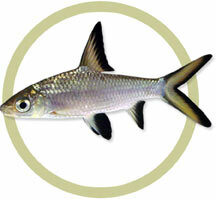 These fish should be avoided for the same reasons given above for painted glassfish. These fish should be avoided because they grow to be over three feet long. Even in a large tank they often don’t do well because of how active they are. Colombian sharks are usually sold as freshwater fish but are actually brackish. This means they require marine salt added to their water and can’t be housed with the usual tropical community fish. While they might survive in pure freshwater when young, these fish will eventually die unless their unique needs are met. Colombian sharks also get pretty large and may even reach two feet in length! There are a few different knifefish species available in the pet trade and they should be avoided for the most part. They are nocturnal and will rarely be seen in the aquarium. Knifefish are also predators and will happily eat every other fish in your tank. Many of them also grow quite large. These guys should be passed up unless you’re starting a tank just for them. Of course, there are many other species of fish that should probably be avoided. Even the “best” beginner fish aren’t going to be appropriate for every aquarium. The lesson of this guide should be to always thoroughly research fish before buying them! I can’t stress how important this is. Never buy on impulse because you’ll almost always regret it. Great info and very well written! Helped me a lot and I'm sure it'll help a lot of others. It's working for me so maybe the website was down earlier . I love this list! I am always at the pet store and listening to people talk about buying fish. i try to give good advise on tank size and species to have in there. this list helps more with the fish i dont know, so now i can let people know! That's my problem, I don't believe goldfish should be used to "start up" a new tank. It's inhumane to subject a fish to ammonia and nitrite spikes which is what you're doing when cycling a tank with fish. I heartily agree with Steph. Using goldfish is inhumane and unethical on many levels for many hobbyists. What do you do with them when you are ready to introduce the fish you had planned for the tank? Most home aquarists don't have a "junk tank" to put unwanted fish in. They usually kill the goldfish, flush them or release them. The first two are just unethical because animals should never be considered tools or disposable. The third solution is possibly the worst because the goldfish is become a problem as an invasive species. They ruin water quality by increasing turbidity and facilitating algae bloom. They also eat and destroy the eggs of native specie. I agree with Stephanie and Bob. It's cruel to cycle with fish. And Goldfish aren't just disposable fish. They are living creatures. i nerv said i did, to cycle any new aquariums i just feed the tank and i use stress zyme or equilivant live bacteria. 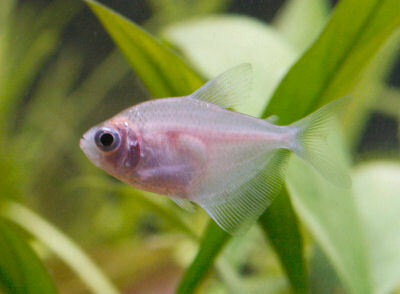 cardinal tetra/paracheirodon axelrodi are special eye treats to add to the aquarium. especially if purchased in qty of 6 or more. Last edited by circusplayhouse; 07-11-2009 at 04:44 PM. i have a question sasimi. you gave a list of fish that arent good fish for beginners, so what fish ARE better for beginners? i usually tell people who are starting a new community tanks to start whith hearty fish like danios or killifish, but what do you suggest? you seem to know your stuff pretty well. Some of my personal favorites are betta fish, dwarf gouramis, most tetras (but I usually don't recommend neon tetras for a brand new aquarium since they're sensitive to poor water conditions), cherry barbs (one of the hardiest freshwater species IMO and peaceful, too! ), most danios, white cloud minnows, and corydoras catfish. All of those are pretty tolerant of less-than-par water conditions, stay on the small side, and can be good community members. They're also all captive-bred (oto cats, for example, would be a good choice but the majority are wild-caught and don't always acclimate well). It all depends on what the person is looking for, what kind of set-up they have, etc. but the above species work well in a lot of your "standard" freshwater community tanks . Killifish, like you mentioned, are also usually pretty hardy. They're known jumpers, though, so a tight-fitting lid is a must (same goes for the bettas and gouramis). That's great that you inform people about goldfish, most pet stores just sell them anyways . We're talking about aquariums so it goes without saying that I wouldn't be recommending a betta in a vase or anything . Bettas can be awesome community fish--or even just a single fish in a smaller aquarium. They're colorful, hardy, and peaceful (besides two males, of course!). If it makes you feel better, I have two bettas--each in their own 5-gallon heated, planted tank. My bettas in the past were mostly in 10-gallons.